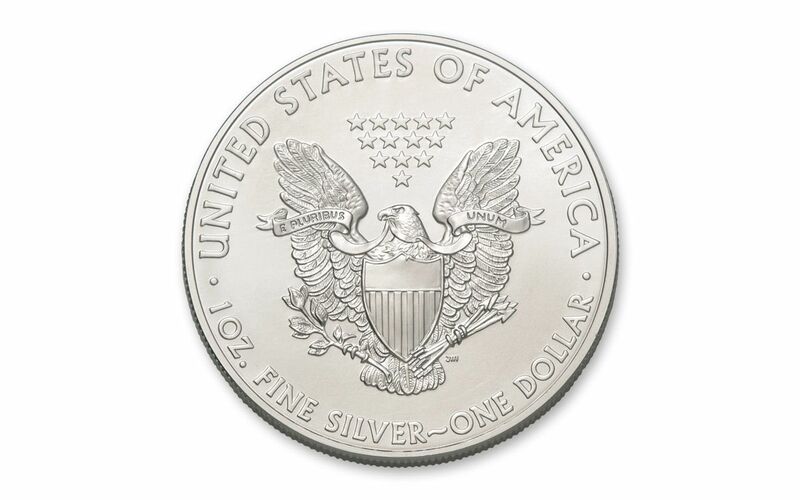 Each coin will be graded Mint State-70 (MS70) by Numismatic Guaranty Corporation (NGC), a distinction that means your perfectly-graded Silver Eagles will have ZERO imperfections -- showing all features and fields exactly as the engraver and mint intended! Your Silver Eagles will also be certified First Day of Issue (FDI) by NGC, meaning that they were among the first struck by the mint and were certified within the first day of issue. Your coins will be sonically sealed in individual acrylic cases with white display cores -- giving you the best in protection while granting clear sightlines into every beautiful detail. 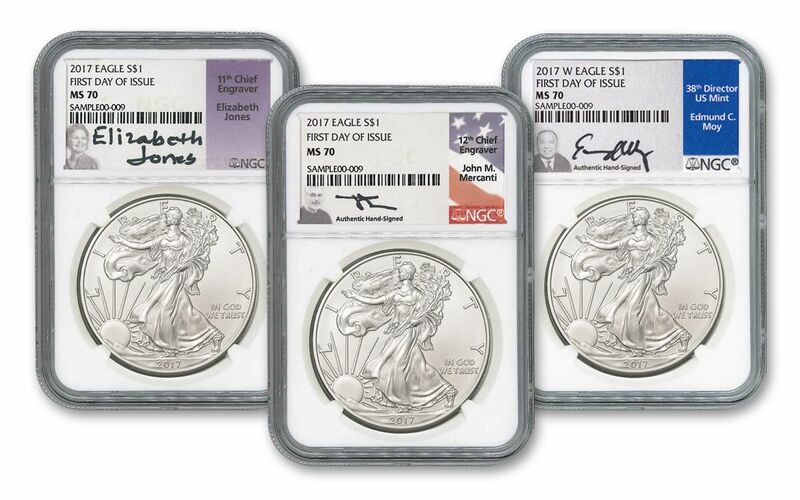 All of your Silver Eagles' unique characteristics will be described in detail on the acrylic cases' labels, one of which will come hand-signed by Elizabeth Jones, the 11th Chief Engraver of the U.S. Mint. 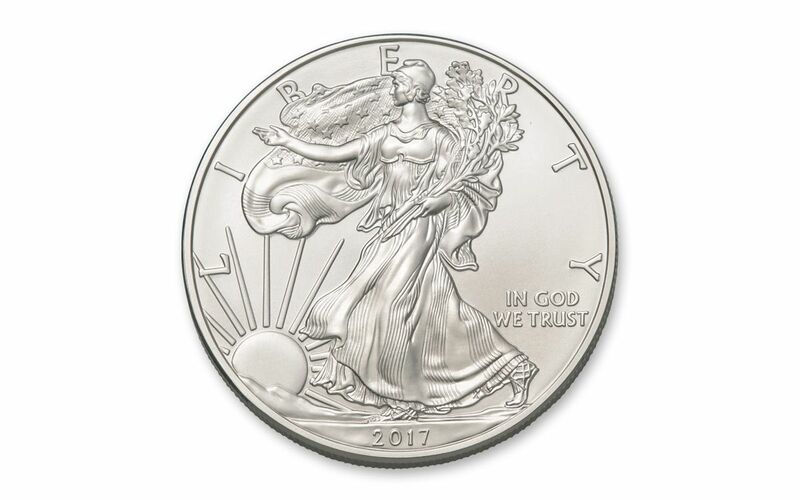 Appointed by President Ronald Reagan in 1981, Elizabeth oversaw the creation and launch of the Silver Eagle series in 1986! The other will come hand-signed by the designer of the Silver Eagle's reverse, 12th Chief Engraver of the U.S. Mint John Mercanti! The third will come hand-signed by Edmund Moy, who served as the 38th Director of the United States Mint, and later earned the Alexander Hamilton Medal for public service. Silver Eagles with these traits don't last in our vaults for very long, especially in this type of set. 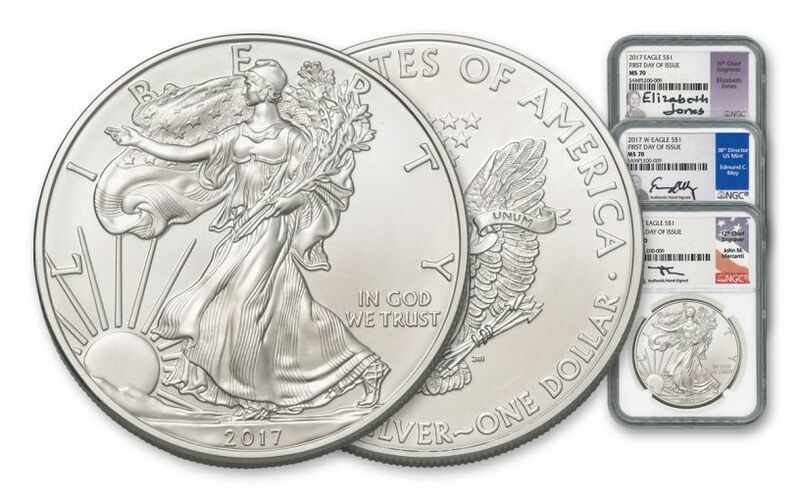 Whether it's keeping your current collection consistent or starting a new one on the right note, the time is now to secure this 2017 Silver Eagle set for your very own. Order yours today!